Over the last year I’ve been pretty good a self-selecting out of unnecessary meetings. I still go to too many, but it’s been getting better. 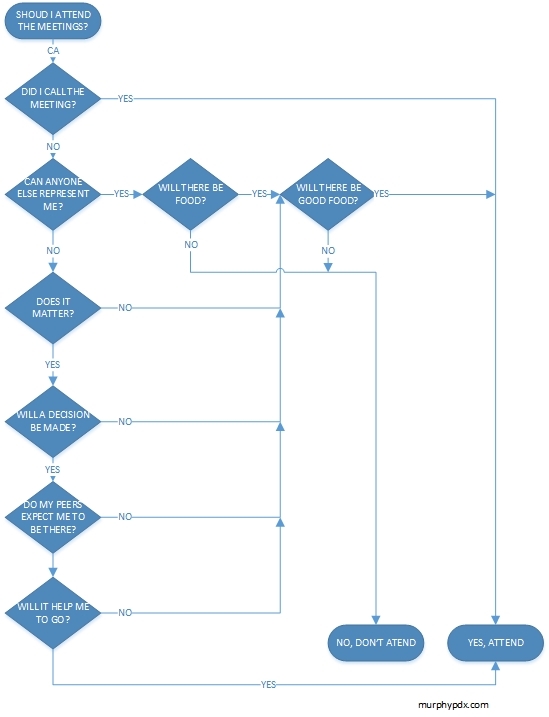 Every month, more of my colleagues seem to catch on, to help explain the typical decision process, I’ve created this handy chart. Consider adding an additional decision state: Can I get something that I want from the meeting organizer in exchange for agreeing to attend? This is great – I’ve shared it many times.